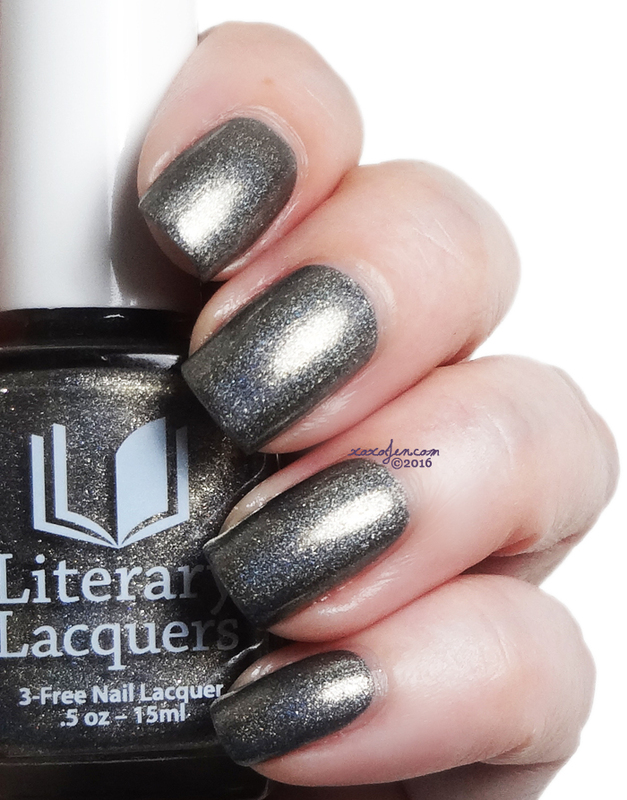 The Needle's Bite - A vampy mysterious metallic gunmetal linear holo with an antique gold highlight shimmer, designed with Alex and Eli Bacon-Leslie and inspired by the Newsflesh series by Mira Grant. I wore two coats with topcoat but this polish was very near opaque in just one coat. It applied easily and so far no chipping after four days of wear. I received a compliment yesterday from the cashier at a restaurant. 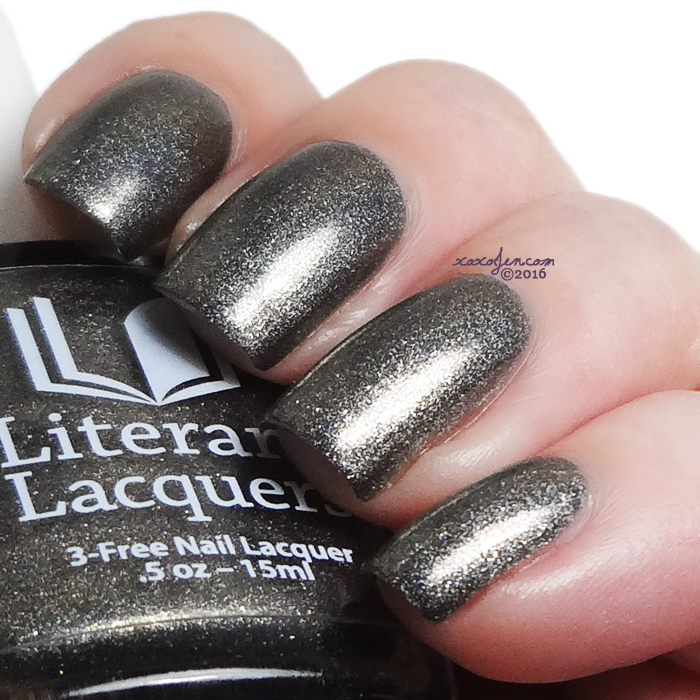 In their lighting, this polish looked greenish. It's definitely a morpher depending on the lighting situation. This polish is available from October 17 - November 16, $13 with a $5 donation from each bottle going to Juvenile Diabetes Research Foundation. SANTA FE, New Mexico ﹘ With Type 1 Diabetes, every day can feel like a succession of needles. Each day is filled with finger pricks, blood tests and insulin injections. Each bottle of The Needle’s Bite will be sold for $13 and $5 from each bottle will be donated to Juvenile Diabetes Research Foundation. 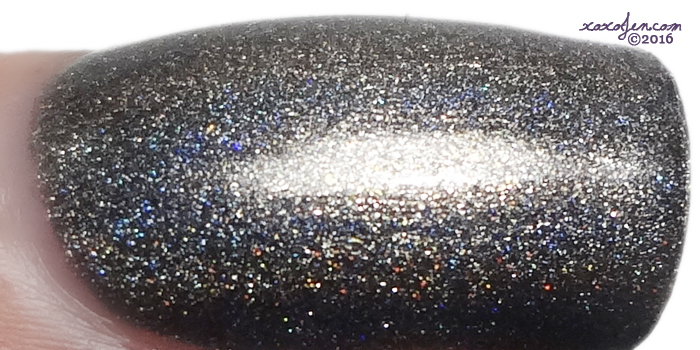 The polish will be sold from October 17, 2016 to November 16, 2016. The color is nice for fall right now.